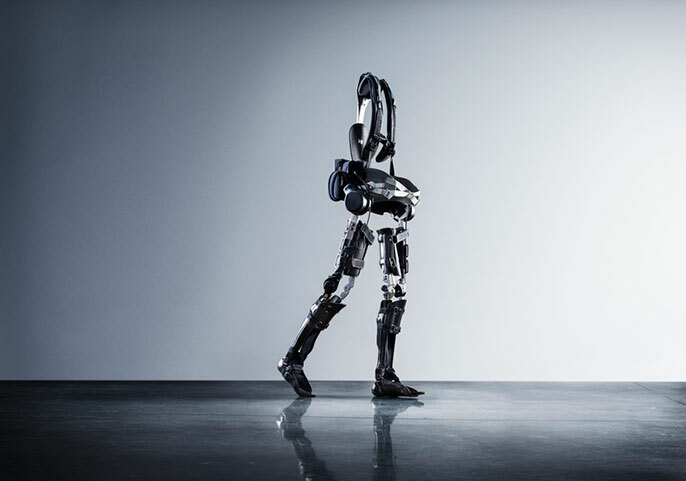 The Phoenix, by SuitX, a company that has spun off the UC Berkeley’s Robotics and Human Engineering Laboratory. From the legend of Jobs and Woz launching Apple from their Silicon Valley garage to the hundreds of startup incubators spanning the state today, California has a reputation for bold entrepreneurial spirit. San Diego leads the UC system in startups, many of which are born from its engineering school. A UC-commissioned study released Aug. 17 by the Bay Area Council Economic Institute reflects just how essential the University of California is in fueling the state’s innovation economy. Researchers and entrepreneurs at UC have spawned hundreds of new companies employing tens of thousands of Californians, contributing more than $20 billion to the state’s economy, according to the report. And the phenomenon is accelerating. “UC’s emerging entrepreneurial culture is providing enormous benefits for the university, its students and faculty, the state and local communities,” said Sean Randolph, the lead report author and senior director of the Bay Area Council Economic Institute. Startup culture is fraught with peril. Unlike software startups that need just a few laptops and a couple of months to get going, many of UC’s nascent businesses are in the life sciences, requiring costly development runways and lengthy regulatory approval processes to get off the ground. To address these and other unique challenges, and to feed the growing entrepreneurial appetite of students and faculty, roughly three dozen incubators and accelerators have been set up in recent years across UC’s 10 campuses, five medical centers and three national labs. Venture Lab in downtown Merced links UC students with entrepreneurial resources. At the Riverside ExCITE incubator, UC-affiliated startups can access mentorship, equipment, shared resources, and lightning-fast broadband. UC Merced’s Venture Lab is working to connect university startups with the fast-growing city of Merced and prevent the “brain drain” of entrepreneurs and their companies relocating to San Francisco and Los Angeles. Nearly all of the startups spun out of UC incubators and accelerators have succeeded, according to UC’s 2015 Technology Commercialization Report. Most UC startups remain headquartered in California even as they grow. From cancer treatments to clean energy breakthroughs, UC innovations touch everyday life in California communities and around the globe. According to the study, they share distinct characteristics in public benefit. For one, the vast majority of UC startups have remained headquartered in the Golden State, employing and supporting about 150,000 jobs across a range of industries and incomes, and paying $88 million in state and local taxes, according to the report. UC startups also possess staying power. More than half of the companies generated by UC since 1968 are still in business, despite massive changes in commercial applications of science, technology, engineering and mathematics in that time. UC-affiliated startups have been a magnet for major investment, attracting more than $16 billion in private venture funding since 1968 and hundreds of millions of dollars more in public grants, the study reported. Christine Gulbranson leads a presidential initiative on innovation and entrepreneurship at UC’s Office of the President. UC President Janet Napolitano has made it a priority to build on UC’s entrepreneurial activity. In May, she appointed Gulbranson to lead an initiative aimed at furthering the entrepreneurial culture on UC campuses and helping steer more UC discoveries from the lab to the marketplace. Gulbranson said UC’s rise in entrepreneurial activity mirrors an increased expectation that universities will contribute not just to the growth of intellectual capital but also to economic development. Students are among UC’s biggest champions in this broader cultural shift toward entrepreneurship addressing critical real-world issues ranging from climate change to cures for disease, she said.